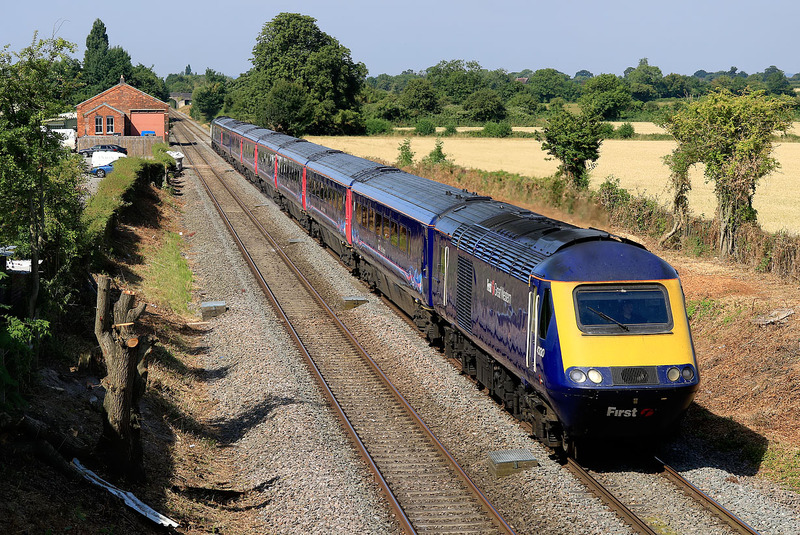 43130 passes Edington on 6 July 2018 with the 1A77 05:41 Penzance to Paddington GWR service. This location has recently been cleared of vegetation, opening up the view considerably. The goods shed of the former Edington & Bratton station is now in use as part of an industrial estate.